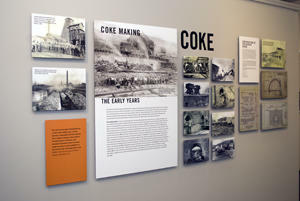 Penn State Fayette, The Eberly Campus has been the home of the Coal and Coke Heritage Center since 1977. The project developed and expanded following the publication of what is now considered a classic work on coal and coke: Patch/Work Voices: The Culture and Lore of a Mining People, written by former campus instructors Drs. Evelyn A. Hovanec, Dennis F. Brestensky, and Albert N. Skomra. The focus of the project is centered on the bituminous coal and coke industries of southwestern Pennsylvania, with particular attention to the Connellsville Coke Region. Tucked along the base of the Chestnut Ridge in the Allegheny Mountains of southwestern Pennsylvania, the Connellsville Coke Region was world famous for its abundant, high quality bituminous coal and beehive coke. Geographically speaking, this area is situated in a long narrow strip of land averaging three and a half miles wide and nearly forty miles long, stretching from Latrobe in Westmoreland County to the area around Smithfield in Fayette County. The heyday of the Region spanned roughly the century from 1870-1970. During this period of phenomenal industrial growth throughout the United States, the Connellsville Coke Region fueled the blast furnaces of the steel industry in nearby Pittsburgh. 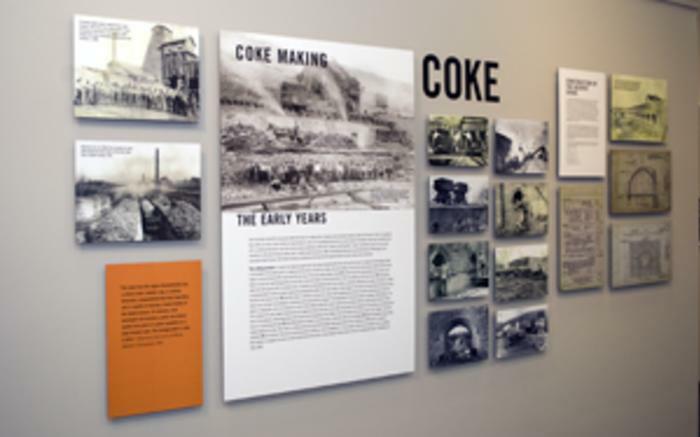 In an effort to document this important time in the region’s history, the Coal and Coke Heritage Center has collected records and artifacts related to the region’s coal and coke industries through the generous donations of our patrons. Many of the CCHC’s collection items can be seen in our Museum exhibits Monday-Friday 10:00am-3:00pm. Additional items are housed in our Archives and are available for research by appointment only.